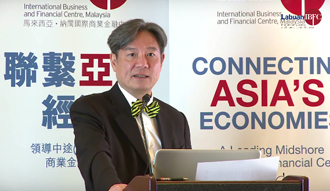 The Belt and Road Initiative has developed over the years into a significant landscape "curator" in Asia, with ports being built, railway lines developed and special economic zones created. 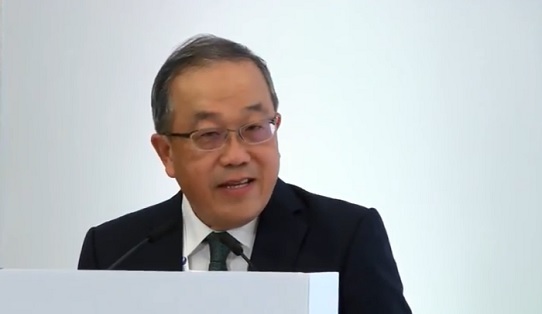 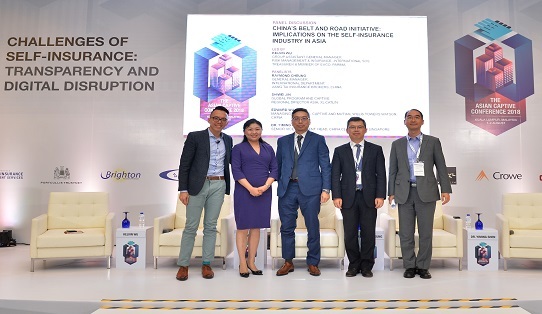 Much has been said about the economic development this massive initiative will bring with it, however much less is discussed with regards to the BRI's risk management needs, and whether in fact, self-insurance is feasible risk management tool for those businesses participating in the BRI. 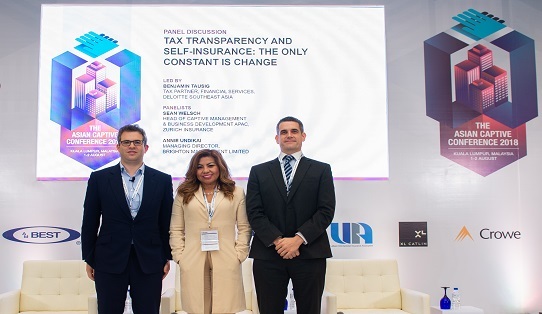 The panel is composed of protected cell companies and captive specialists, legal, actuarial and tax professionals who share their insights into key considerations in deciding a domicile for self-insurance needs. 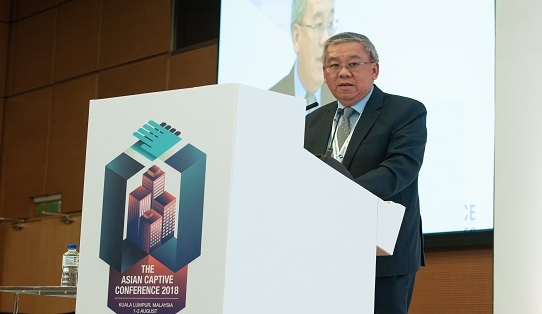 A dedicated presentation on Protected Cell Companies by Aon Singapore at the recent Asian Captive Conference 2018 in Kuala Lumpur, Malaysia. 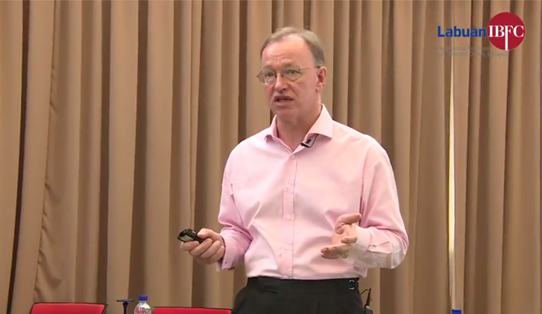 Are Risk Managers Prepared for the Future of Digital Disruption? 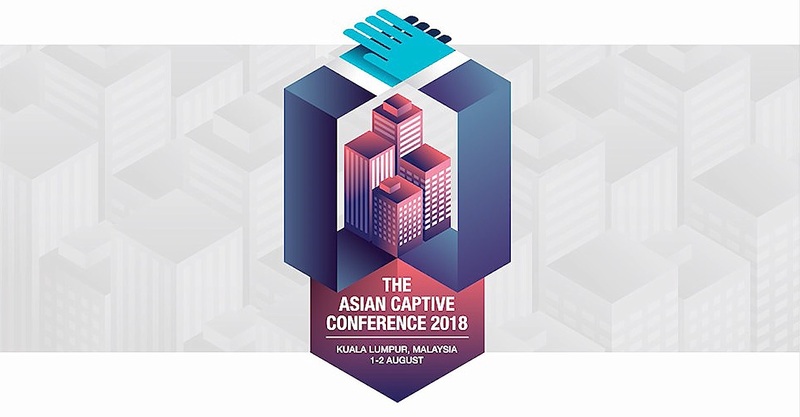 Hear from Stacey Huang, Executive Director at PARIMA as she shares insights from the APAC-wide competency study of risk managers at the recent Asian Captive Conference 2018 in Kuala Lumpur, Malaysia. 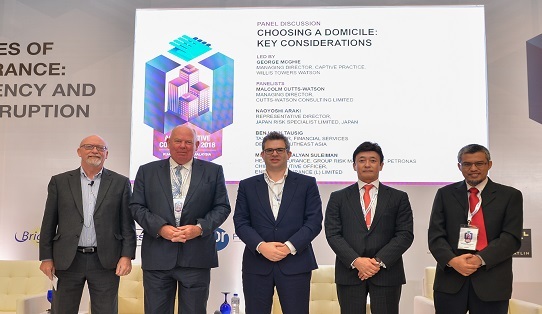 Multinational companies with large captives will need to be prepared to demonstrate their alignment to the BEPs principles of tax transparency and economic substance that could impact the way captives are currently managed and by extension the choice of domicile for these structures. 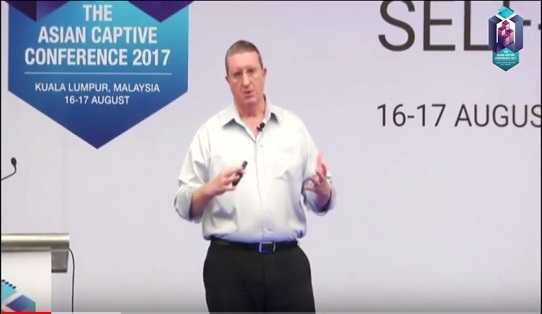 In this presentation, Benjamin Tausig, Tax Partner at Deloitte Southeast Asia provides a 15-minute presentation on the latest BEPs proposed guidance which will affect captives. 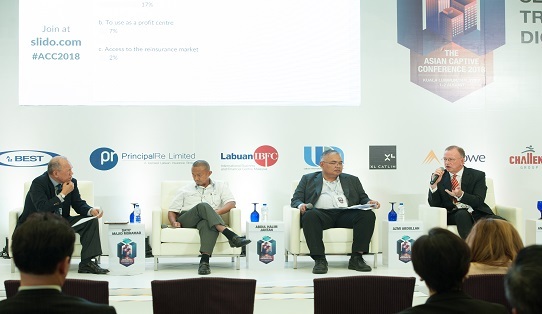 The PARIMA Panel: Are Risk Managers Prepared for the Future of Digital Disruption? 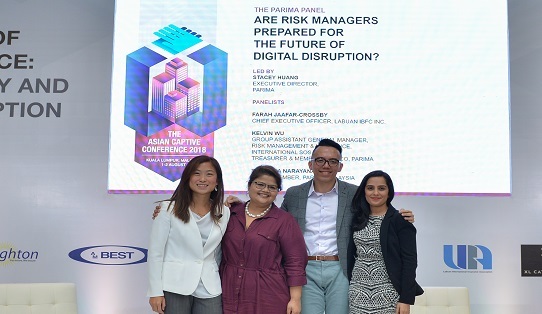 Heading towards a digital landscape, is risk management at its current state sufficient and effective to handle the incoming disruptions? 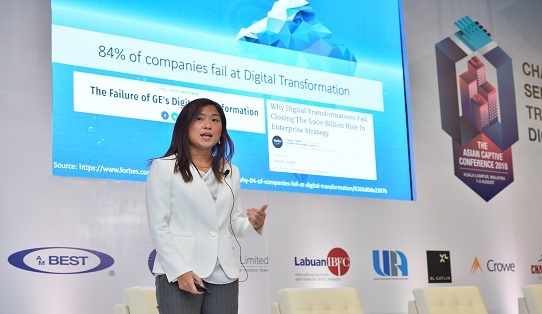 Increasingly, risk managers are pressured to reposition themselves to adapt to new business models, new threats and new challenges. 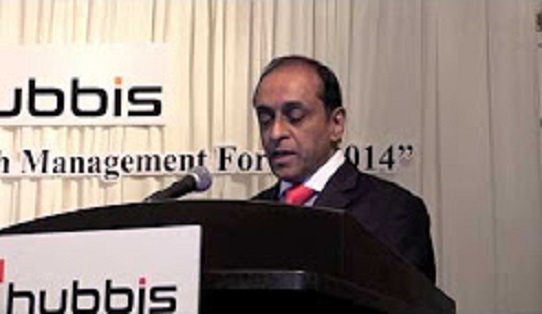 Are they fast changing enough and what role will risk managers evolve towards? 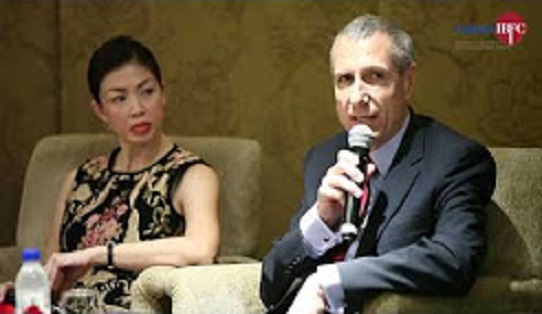 What skill sets do they need in order to justify their value in the future? 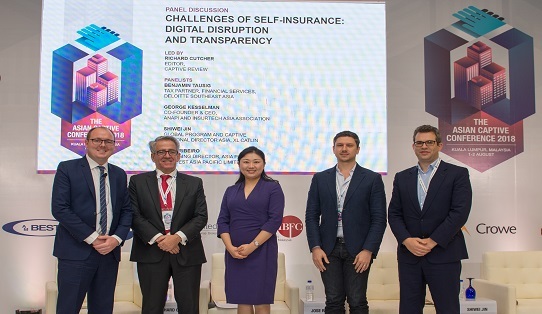 While the risk management industry in Asia seems to be warming up to the concept and feasibility of the various forms of self-insurance, be it captives, protected cell companies or even the concept of self-retention, the industry as is also having to grapple with the challenges from a myriad of regulatory demands. 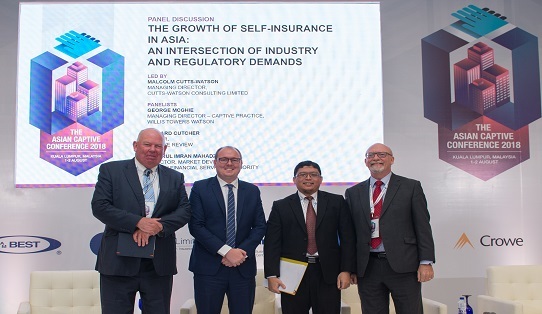 How will this confluence impact and shape the landscape of self-insurance in Asia? 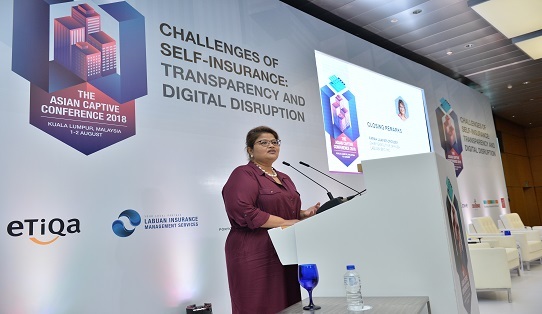 Themed 'Challenges in Self-Insurance: Transparency and Digital Disruption', the Asian Captive Conference 2018 highlighted the challenges and disruptors risk managers are facing from the technology, which is fast changing their respective business models. 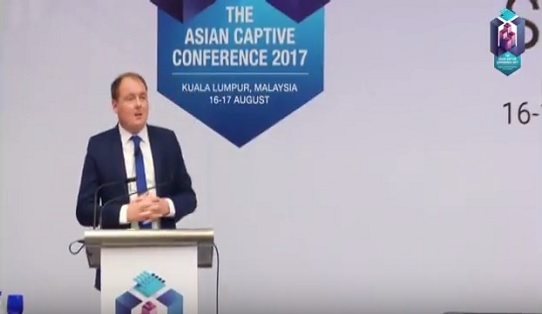 Presented by Oliver Schofield, Head of Captive and ART Consulting at Principal Re Limited, he discussed how business could use sophisticated self-insurance mechanisms supported by innovative reinsurance techniques to drive strategic growth and development across Asia. 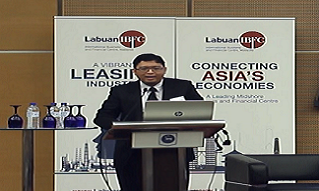 Syahrul Imran Mahadzir, Director of Market Development Department at Labuan Financial Services Authority (Labuan FSA) discusses on the pertinent developments affecting leasing industry in Labuan IBFC. 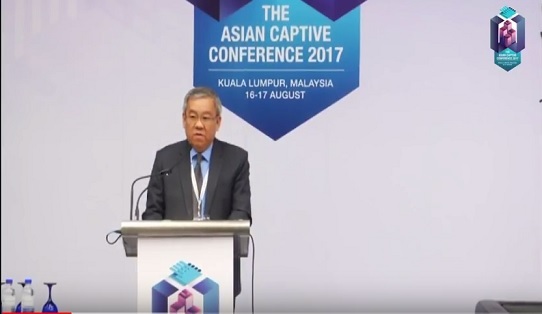 Closing Remarks by Raymond Wong, Chairman of Labuan International Insurance Association on the Day 1 of the Asian Captive Conference 2017. 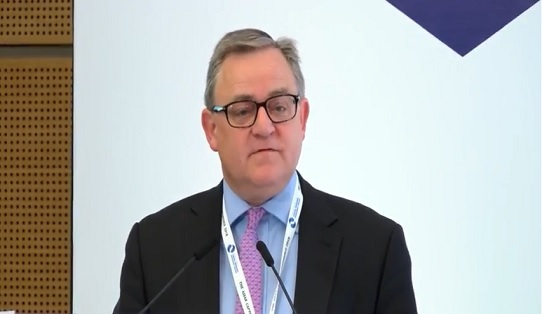 Steve Tunstall, General Secretary of Pan-Asia Risk and Insurance Management Association (PARIMA) gives a brief introduction on the non-profit professional association for risk and insurance professionals in Asia. 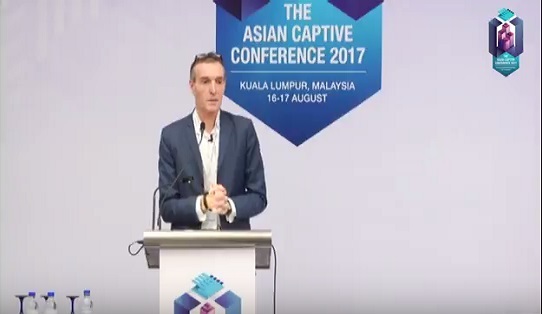 Richard Cutcher, Editor of Captive Review discusses the findings of the White Paper entitled 'Attitudes towards Captive Insurance in Asia' at the Asian Captive Conference 2017. 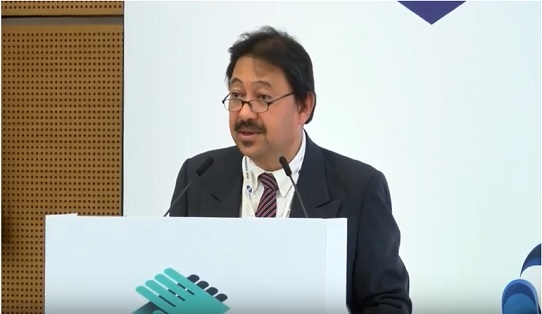 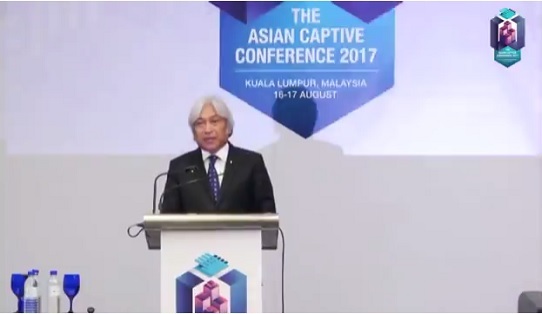 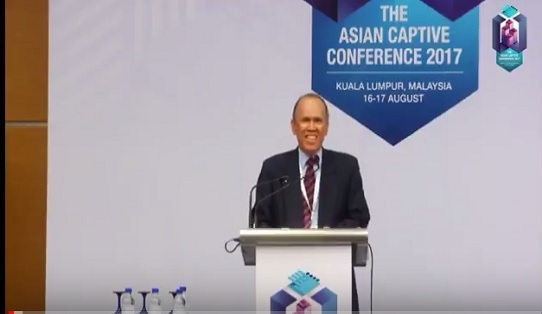 Datuk Muhammad Ibrahim, Governor of Bank Negara Malaysia and Chairman of Labuan Financial Services Authority delivered his keynote address at the Asian Captive Conference 2017 held in Kuala Lumpur, Malaysia. 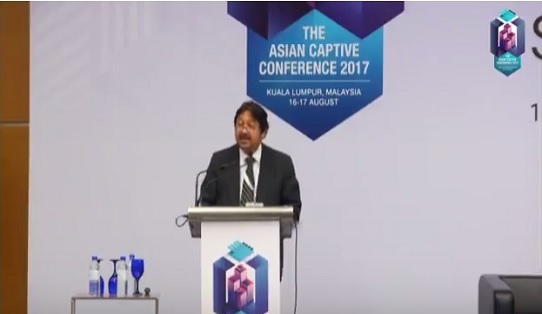 Welcome remarks by Dato' Mohammed Azlan Hashim, Chairman of Labuan IBFC Inc at the Asian Captive Conference 2017 held in Kuala Lumpur, Malaysia. 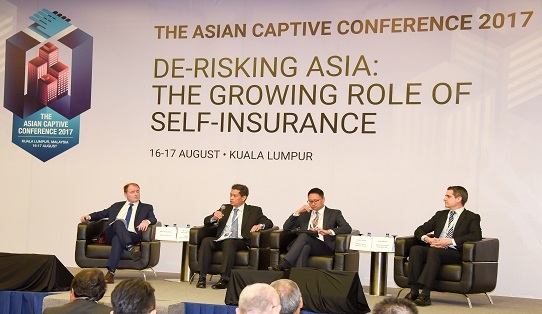 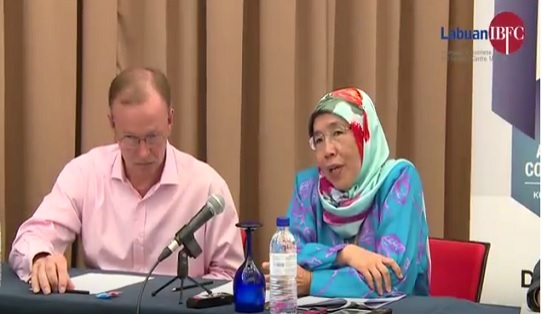 Panel Discussion: How Did Petronas Manage its Risks via Captive Insurance? 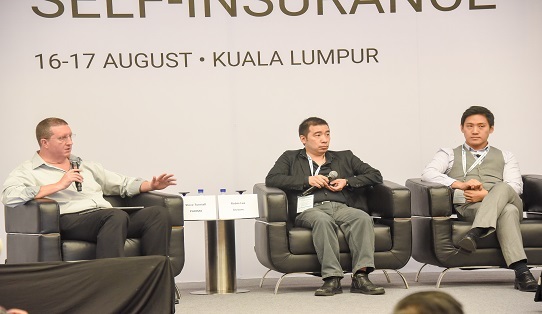 Raziah Yahya, CEO of Energas Insurance (L) Limited shares the benefits of managing Petronas' risks via captive insurance. 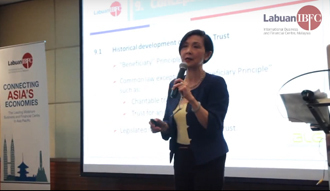 Millie Chan, Independent Senior Consultant, Borden Ladner Gervais LLP discusses the foundation as a civil law creature, and considers the key differences between the foundation and the common law concept of trust. 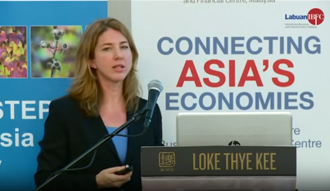 Her presentation involves the various practical considerations in deciding between the two options for estate planning purposes, including structural planning that may span across both concepts. 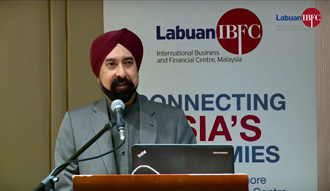 At the Manila chapter of Labuan IBFC's ASEAN Roadshow 2016, Dr Veerinderjeet Singh, Founder and Chairman, Taxand Malaysia Sdn Bhd / Executive Chairman, Axcelasia Inc, shares Labuan IBFC's unique position as a midshore jurisdiction and how businesses can leverage on its advantages (especially in the realm of tax) for business expansion into the Asia Pacific region. 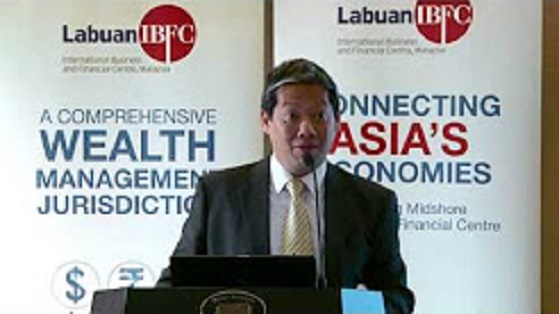 The Substance of the Matter - Why Labuan? 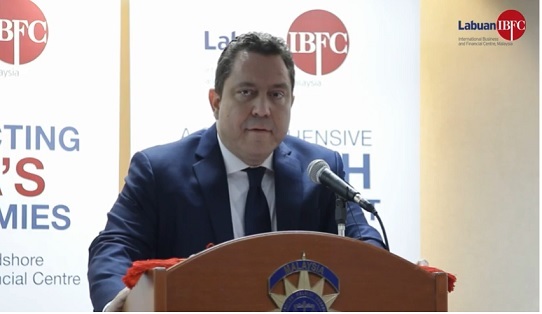 There has been unprecedented pressure on both tax neutral countries and the users of these tax efficient jurisdictions, to pay what is deemed a ‘fair’ amount of tax. 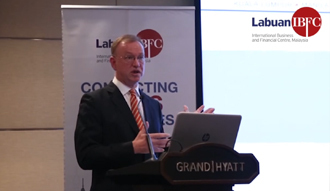 This pressure has culminated in multilateral initiatives such as the base erosion profit shifting initiative and the common reporting standard, both aimed at changing the landscape of international tax planning forever. 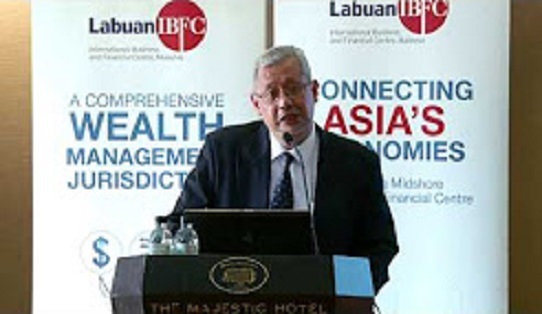 The Jakarta chapter of Labuan IBFC’s Wealth Management for Managers conference took place at the Grand Hyatt Hotel, Jakarta on 1 October 2015. 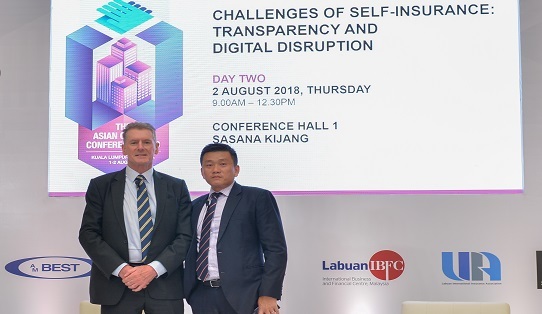 It was part of a series of wealth management conferences organised by Labuan IBFC to encourage talent development and facilitate the use of internationally-recognised asset protection and preservation structures among Southeast Asia’s wealth management fraternity. 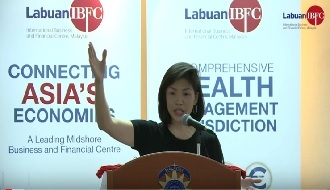 On 24 August 2015, Labuan IBFC and the Malaysian chapter of the Society of Trust and Estate Practitioners (STEP Malaysia) jointly organised a masterclass at Loke Thye Kee, Penang to promote awareness and education of the various legal structures available in Labuan IBFC for private and corporate clients. 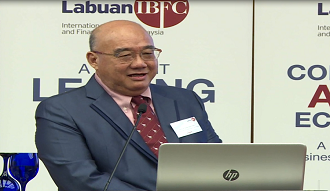 Dr Haji Abdul Aziz bin Hassan, Founder, Aziz Hassan & Co, Advocates & Solicitors, explaining on "Labuan IBFC's Foundation Structures for Business Succession Planning" in Kuala Lumpur. 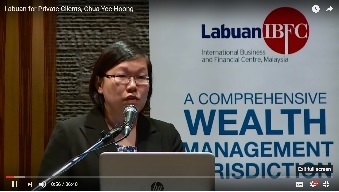 Chua Yee Hoong, Partner, Tax and Private Clients at Withers KhattarWong discusses wealth planning and asset protection structures. 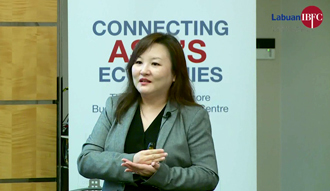 She also highlights the differences between trusts and foundations in her presentation. 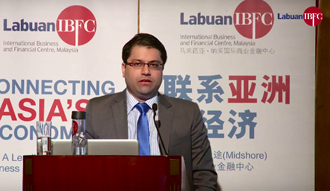 Shanker Iyer, Founder and Chairman, Iyer Practice Advisers, Singapore and Hong Kong, presenting at the Thailand Wealth Management Forum 2014 on "Labuan IBFC: Jurisdiction of Choice for Wealth Planning and Offshore Structuring". 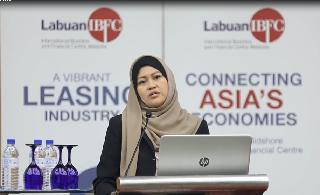 Hiu Chee Fatt, Director, Business Development, Labuan IBFC, giving an Overview of Labuan International Business and Financial Centre in Kuala Lumpur. 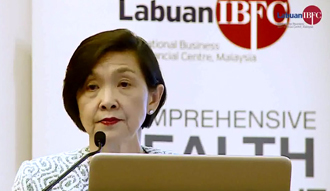 Millie Chan, Independent Senior Consultant at Borden Ladner Gervais, speaking on "A Holistic Approach to Global Estate Planning for High-Net-Worth Families" in Kuala Lumpur. 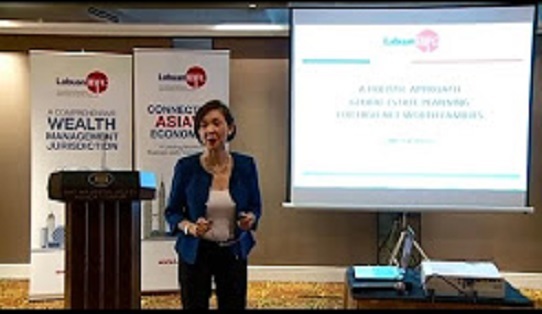 Millie Chan, Independent Senior Consultant at Borden Ladner Gervais , speaking on the "Key Concerns of High-Net-Worth-Families in Asia and their Planning Options" in Kuala Lumpur. 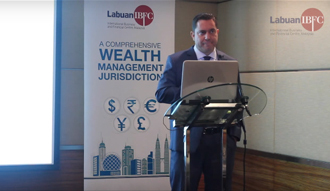 Shanker Iyer, Founder and Chairman of Iyer Practice Advisers, highlights the benefits of Labuan IBFC as a chosen domicile for wealth management and explains some of the challenges and considerations in relation to wealth structuring in Asia. 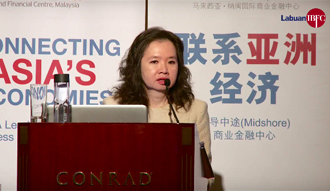 Carolyn Oh, Principal, Carolyn Oh and Co, speaking at the Malaysian Wealth Management Forum 2014 in Kuala Lumpur. 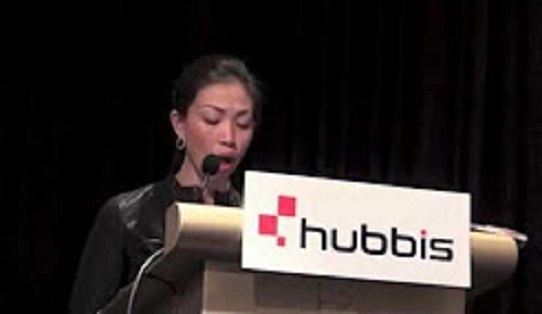 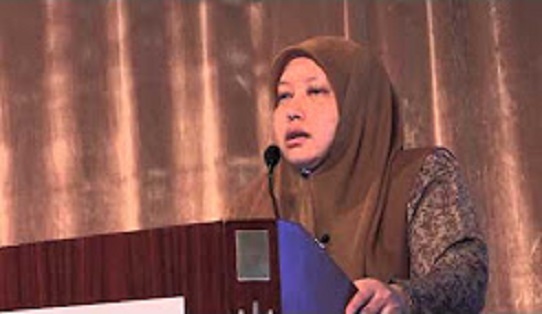 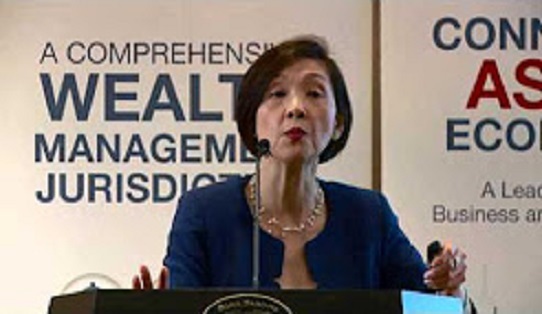 Dr Aida Othman, Partner at Zaid Ibrahim & Co. speaking on "The Unique Features and Potential of Labuan IBFC Mechanisms for Wealth Management", at the Asian Wealth Management Forum 2014 in Hong Kong.